What – No Stock?? 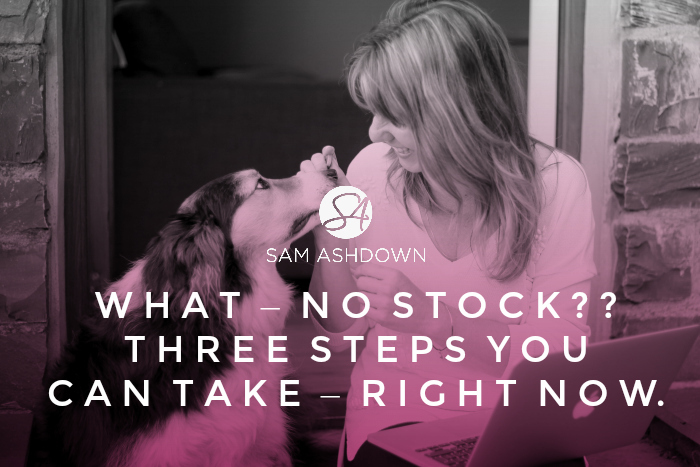 Three steps you can take – right NOW. An agent called me today, from Nottinghamshire. “Help – I’ve no stock left”, she said. “How many properties do you have fully available?” I asked. That’s pretty serious. It’s like being John Lewis and having nothing to sell on your shelves. Yes, we all want property sales and lettings, but we need the properties on our books to start with. Firstly, make marketing your number one priority. No excuses. You need to become a lead machine, and FAST. I’ve identified seventeen different lead generation sources for agents, and there are many more creative ideas on top of those. How many do you use? Second, get on the phone. Call up every single one of your past and current clients and ask for referrals. If you’re no good at asking, then get good! Just call them up, exchange a few niceties and then say something like, “As you probably know, we rely on word of mouth to reach the best clients in our area needing help selling or letting their properties. Who do you know who is thinking of selling or letting?” Try it, and surprise yourself. Thirdly – and most importantly – jump on my free live training session! I’m running a free online training on Wednesday 10th June at 10am. Brand new and free – My 3 Steps to get your Leads on AUTO-PILOT – can you afford to miss it? I’ll be sharing my simple and highly effective marketing funnel that has in the past year alone, doubled one of my clients’ stock and increased another’s average sale price by a staggering 50%!Grab your spot now before your competitors beat you to it. ->> https://attendee.gotowebinar.com/register/8333682778964239874PS here’s a 2 minute video to tell you more about this training and find out if it’s for you! Previous post Can I Instagram it?